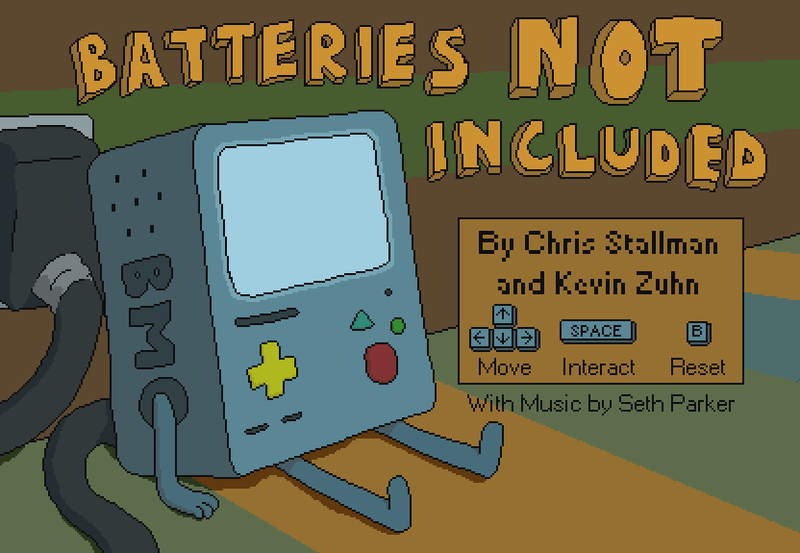 Batteries Not Included is a puzzle adventure game starring BMO as it searches for its missing batteries! BMO's movement is restricted by lengths of extension cord, so BMO must navigate from plug to plug, pushing boxes, collecting cords, and talking to the residents of the tree fort. 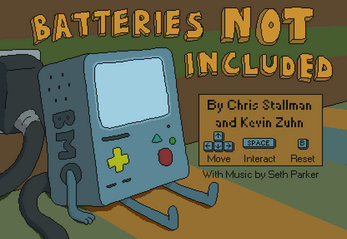 Move with the arrow keys. Plug, pickup, or talk with Spacebar. Reset the game to your last plug with B. 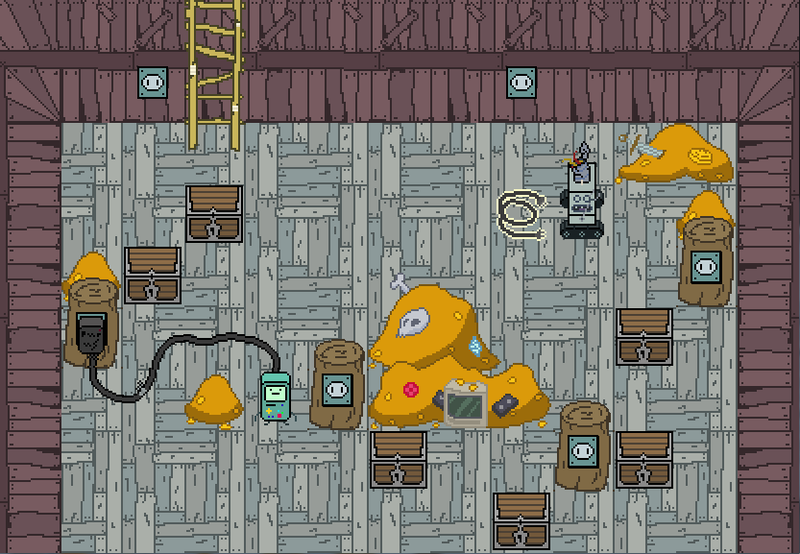 This game was made with Gamemaker 8.0, Photoshop, and Sfxr.